London Taxi Company's next-generation Black Cab will be based on the TX5 concept (shown). The vehicle will have room for 6 passengers and be wired for Wi-Fi, but a former London mayor made sure the iconic vehicle's look would remain the same. The fifth generation of London's iconic Black Cab that will debut later this year will have 21st century upgrades that make it greener, roomier and more connected, but its design will stay firmly planted in the 1950s. Former London Mayor Boris Johnson, who is now Britain's foreign secretary, made sure of that. "He was adamant. 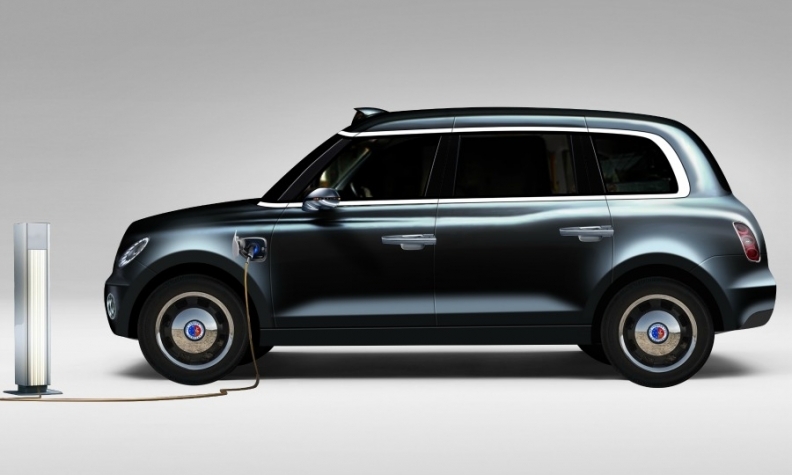 He wanted it to look just like a London taxi and asked us not to change it too much," said Peter Horbury, who is head of design at Geely Automobile. Horbury's team was asked to design the new Black Cab because London Taxi Company is one of the companies that make up China's Zhejiang Geely Holding Group. Horbury said he would have done something different with the Black Cab's exterior. "If we had been completely free, we may have been a bit more industrial designer-ish," he said. The 66-year-old Brit said that while he regrets that he didn't get to do more to the exterior, he still considers it an honor to work on something that is so synonymous with his homeland. "We’re happy that the postcards in London will not change that much," Horbury added. The new Black Cab that arrives in London this year may look like the old version of the taxi, but that is where the similarities end. The production version of the TX5 concept, which will replace the FX4 that dates back to 1958, has a lightweight aluminum body structure, composite paneling and a range-extending battery-electric propulsion system with a gasoline engine used as a generator that London Taxi promises will make it possible for the cab to last an entire service day without needing a recharge. The new Black Cab, which was created at Geely's styling center in Barcelona, Spain, with help from 200 UK-based engineers and designers, will also offer Wi-Fi capability and charging points for the driver and passengers. While today's Black Cabs seat five, with three on the backseat and two on rear-facing, folding seats, the new cab will have two rows of three seats that face each other. This change forced Horbury to increase the vehicle's overall dimensions because he was not allowed to add a passenger seat in the front next to the driver. He said that London's taxi rules require that space for luggage. Horbury and his team showed the TX5 prototype in October 2015 and then started to implement several design changes to make sure the new Black Cab would be ready for its London debut followed by its expansion to other European cities in 2018. Zhejiang Geely in May 2016 raised $400 million through a green bond sale to help it finance production of the new-generation Black Cab at a new factory in Ansty, England. The plant will be able to produce 36,000 cabs a year, ten times the annual production capacity of the London Taxi's old Coventry factory plant and far exceeding the 23,000 cabs on the London's streets today. A big reason for the additional capacity is that London Taxi is in talks to supply European cities such as Amsterdam, Barcelona, Berlin, Oslo and Paris with Black Cabs for their fleets. If that happens there will be a little bit of London in those cities – and a lot fewer emissions.